Born in Halifax in West Yorkshire, England. Has named all four of his guitars: Felix, Cyril, Nigel, and Loyd. His fans call themselves "Sheerios". His inspiration for the song "Drunk" was an incident which occurred when he was 19 years old and touring with Example. During that night, he had drank a lot and woke up the next day at a stranger's house, unable to remember any of the events from the night before. Is a big fan of Elton John, whom he considers a massive influence on his career. In return, John is a great supporter of his work, and in 2014, he attended the wedding of John and his husband, David Furnish. Is a huge fan of Buffy the Vampire Slayer (1997), and has mentioned the series at several of his concerts. His song "Afire Love" samples "Remembering Jenny" from Christophe Beck's score to the season 2 episode Buffy the Vampire Slayer: Passion (1998). A video exists of Donald J. Trump singing his hit song "Shape of You". 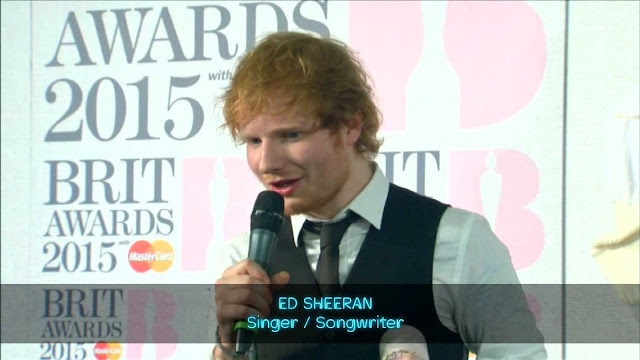 In March 2017, he made UK chart history when nine of the songs in the top 10 of the UK Singles Chart were from his album ÷ (Divide), surpassing a record previously held by Calvin Harris. In addition to the nine singles in the top 10, all sixteen songs from the album made the top 20 of the UK Singles Chart. His album, ÷ (Divide), is the fastest-selling album by a male artist ever in UK chart history, selling 672,000 copies in its first week of release. Has been writing and recording songs since 2005. He was awarded the MBE (Member of the Order of the British Empire) in the 2017 Queen's Birthday Honours List for his services to Music and Charity in London, England. Once lived with Jamie Foxx before he was famous.